Pulaski County Circuit Judge Tim Fox voided the measure in a lawsuit over the way absentee ballots are handled under the law. A separate lawsuit had been filed last week directly challenging the law, which requires voters to show photo identification before casting a ballot. Fox issued the ruling in a case that had focused on absentee ballots. 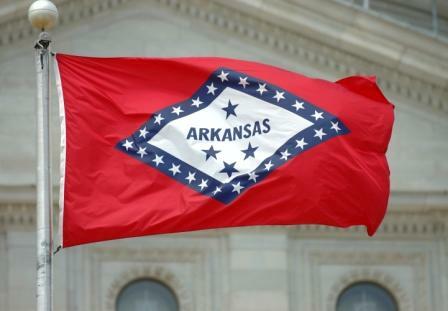 The Pulaski County Election Commission sued the state Board of Election Commissioners for adopting a rule that gives absentee voters additional time to show proof of ID. The rule allows voters who did not submit required identification with their absentee ballot to turn in the documents for their vote to be counted by noon Monday following an election. It mirrors an identical “cure period” the law gives to voters who fail to show identification at the polls. [Democratic Attorney General Dustin] McDaniel issued a legal opinion in February in which he said absentee voters could not be given additional time to cast ballots, because that wasn’t specified in the law. His opinion conflicted with advice that the Republican secretary of state’s office had given to local election officials. The Republican sponsor of the voter ID law said he was “shocked” at Fox’s ruling, saying he didn’t believe the judge gave the state the chance to defend the new measure. “I thought today was about the rulemaking on the absentee ballots. It seems like he jumped ahead of himself,” said Sen. Bryan King, R-Green Forest. 1 Comment on "Arkansas Judge Strikes Down Voter ID Law"
The world is indeed a confused place. Just love to enjoy my Best studio headphones -EchoLake for it keeps me sane.